Dusk Till Dawn is gearing up to host the £2.4 million guaranteed WSOP-C UK festival from Apr. 4-14. 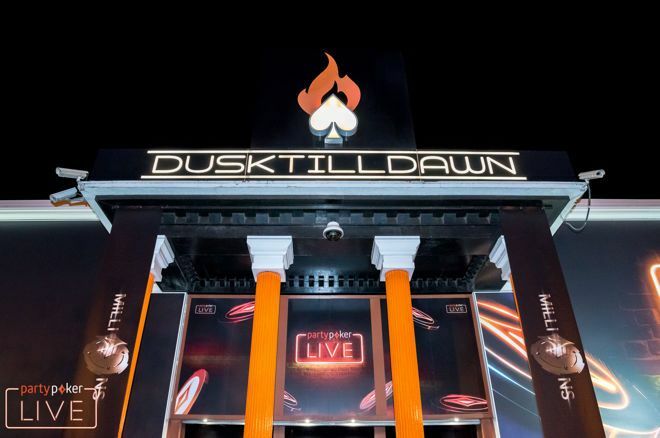 Dusk Till Dawn is preparing to host the 2019 World Series of Poker (WSOP) Circuit UK festival where £2.4 million in guaranteed prize pools, including a £1 million guaranteed Main Event, will be played for by poker tournament players from around the UK, Ireland and beyond. Seven WSOP-C events are scheduled between Apr. 4-14 that have buy-ins ranging from £330 up to £5,300, meaning there is a tournament for everyone regardless of the size of their bankroll. The £500,000 guaranteed Colossus is the event kicking off the series. This £330 buy-in tournament starts online at partypoker where four starting flights run at 8:00 p.m. on Mar. 31-Apr. 3. The first live starting flights take place at Dusk Till Dawn on Apr. 4 and there are nine in total. Players can also play in £35 buy-in satellites to the Colossus and indeed Day 1s at three of partypokerLIVE’s partner casinos. Manchester 235, Alea Nottingham an the Rendezvous Casino in Brighton are the three chosen partners. £1 million is guaranteed in the WSOP-C UK Main Event that runs from Apr. 7-14. Featuring four starting flights at Dusk Till Dawn, one at Manchester 235 and one online at partypoker, the £1,100 buy-in Main Event should be huge. There are 14 live satellites to the WSOP-C UK Main Event that have combined guarantees of 150-seats. Check out the partypoker LIVE page for the confirmed dates of these satellites that either award one seat for every 10x £110 entries or one seat for every five £220 entries. Some of the other events that are sure to capture the eye of the poker community are the £2,200 High Roller with its £200,000 guarantee, the £5,300 Super High Roller that guarantees £250,000 will be won, and the £330 buy-in Closer that also has a £200,000 guaranteed prize pool. In addition to the various live satellites, players can buy into any of the WSOP-C UK events using PP LIVE Dollars. This flexible currency is won in online satellites at partypoker and can then be used to buy into partypoker LIVE tournaments, exchanged for travel expenses and can even be used for hotel accommodation. A special offer is in place for the £1 million guaranteed WSOP-C UK Main Event that promises £100 to the first 100 players to buy into the £1,100 Main Event using PP LIVE Dollars; there were 61 places remaining in this promotion at time of writing. You can also win $1,000 worth of PP LIVE Dollars by heading to the partypoker LIVE website, logging into your free account and correctly guessing the number of entries in the WSOP-C Main Event. Download partypoker via UK & Ireland PokerNews today, and you’ll receive up to $30 worth of SPINS tickets over the course of six days when you make your first deposit. SPINS are partypoker's jackpot sit & go tournaments where the $5 buy-in level can pay its winner $1 million and its $50 buy-in game up to $2 million!